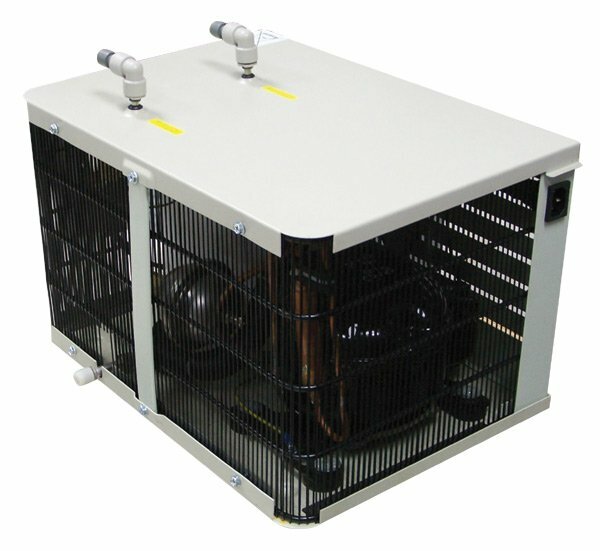 Remote chillers offer water up to 3 gallons per minute of 50 degree water. They are installed under sink and plumbed into a faucet just for filtered COLD water. Small, compact and out of the way appliance.